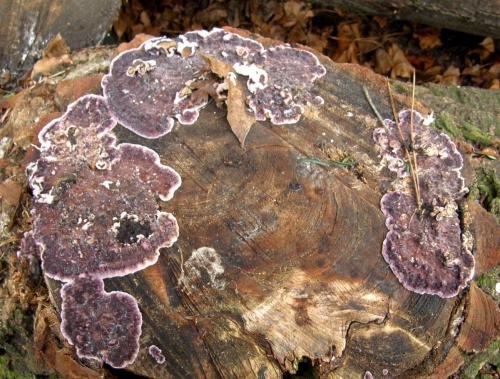 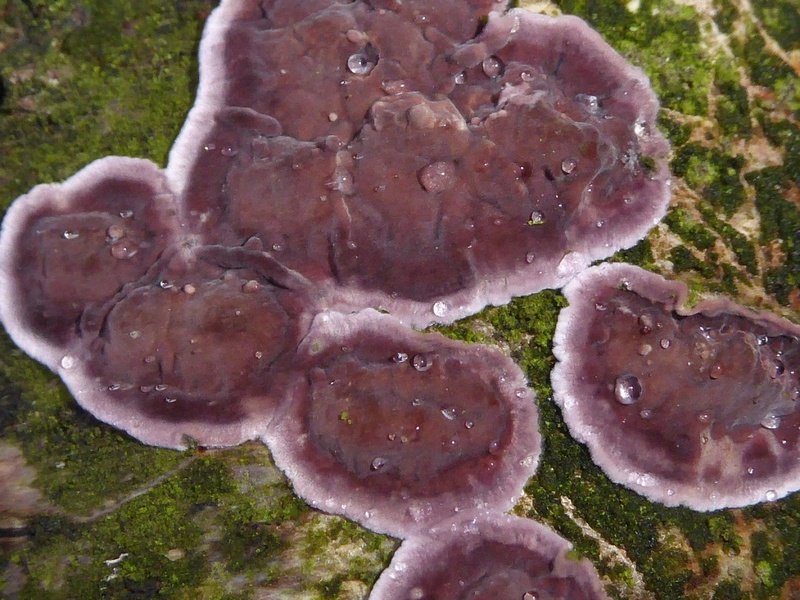 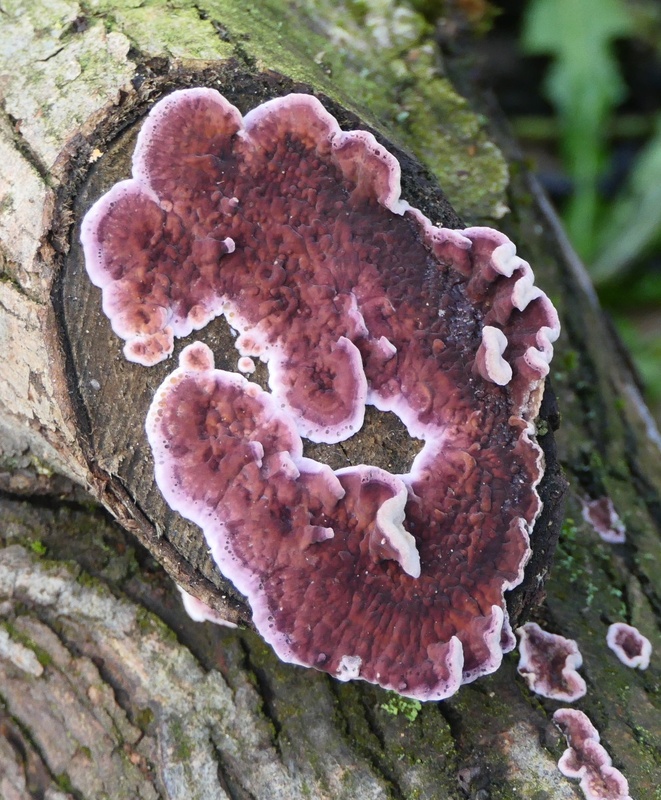 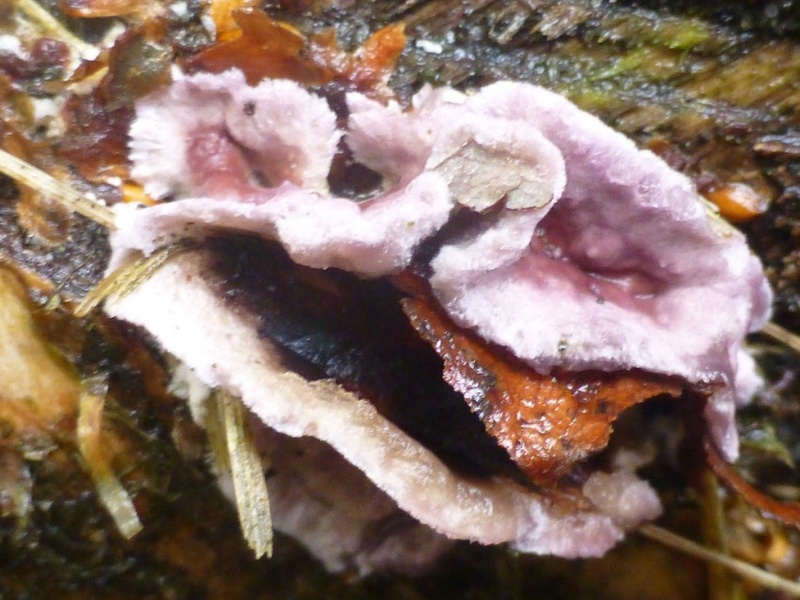 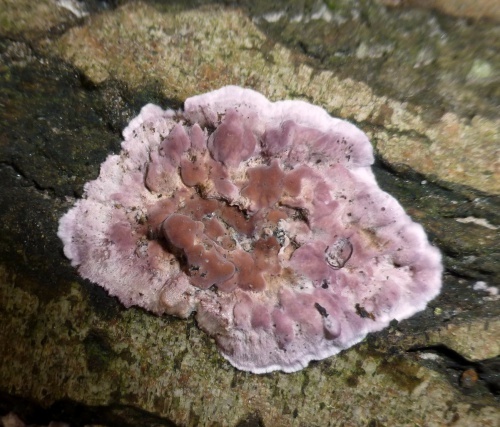 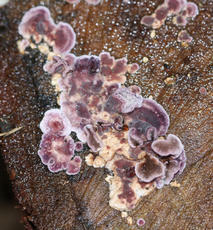 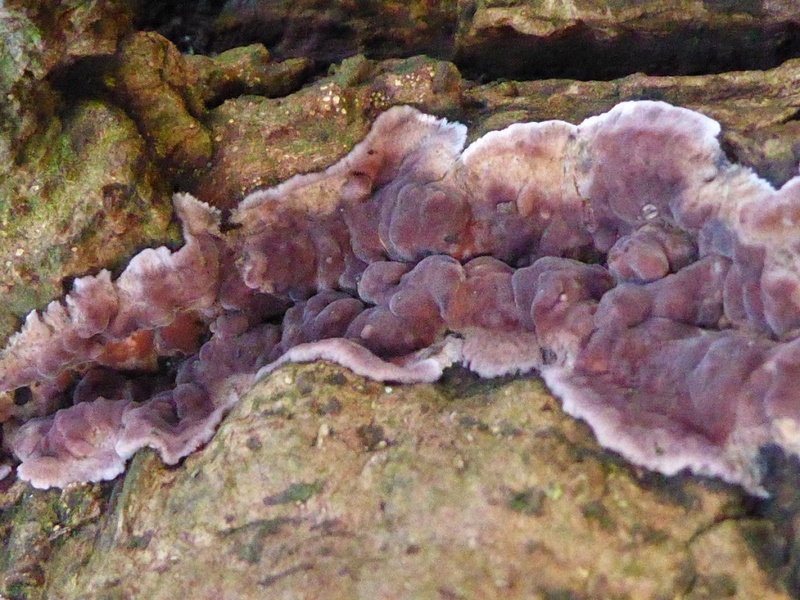 This fungus forms leathery, lilac to deep purple patches with a white edge. 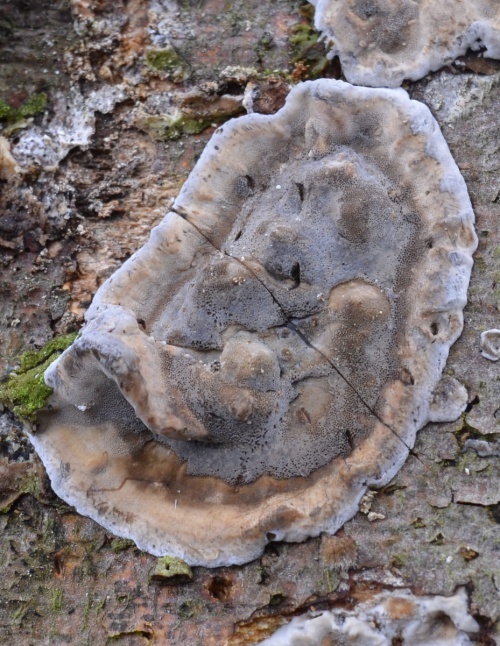 After starting as just a crust on the wood, the fruiting structure develops undulating intergrowing brackets up to about 3 cm broad. On dead deciduous wood, often appearing on the sawn ends of felled trunks. 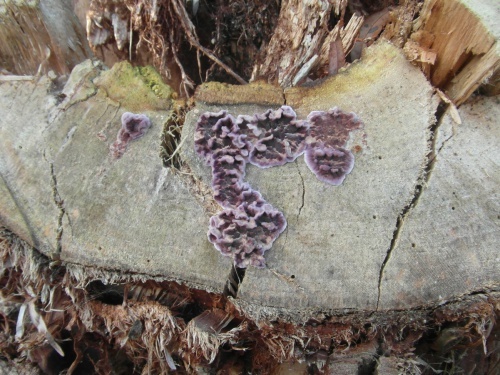 Causes Silverleaf disease on the foliage of the Plum and Cherry family. 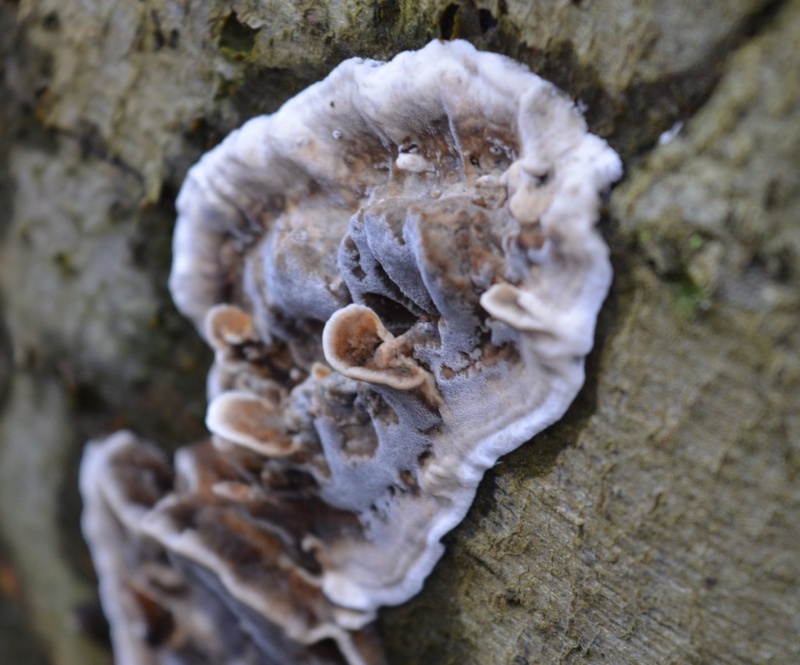 Infrequent but widespread in Britain.